The low-cost, interesting college city of about 170,000 people in southern Tennessee is the vibrant Chattanooga. This was the site of the famous critical civil war Battle of Chattanooga due to its strategic location on the Tennessee River. 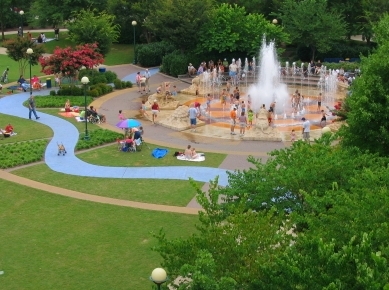 Called the "Scenic City," it is home to the University of Tennessee - Chattanooga. The city has had its ups and downs economically. Its industrial focus combined with its many ridges also resulted in some very dirty air up until the 1980's. The city's 21st Century Waterfront Plan is a $120 million redevelopment to transform the Chattanooga waterfront and downtown area. The Riverwalk is a 13 mile trail along the river. Individuals are flocking to Tennessee and Chattanooga because of its milder climate and much lower costs, as well as the cultural draw of the college. Many people cite how friendly the locals are, while some others say people from the northeast feel unwelcome. The median selling price of a home in Chattanooga in the 4th quarter of 2018 was $191,200, according to the National Association of Realtors, and is well below the national average. Many active adult communities are being built in the area with a wide range of prices. Chattanooga crime rate may be high in certain parts and public transportation may be a problem for those who do not drive. Located on the southern border of Tennessee in the eastern portion. It is on the Tennessee River in the Appalachian Mountains. A number of ridges make this a very hilly terrain. There are lakes and dams in the area. Chattanooga gets occasional snow in winter. January temps tend to be from 30-50. In addition to the annual Riverbend Festival, which attracts tens of thousands each June for its music, Chattanooga has the Tivoli Theatre which is home to the symphony and opera. The Chattanooga Theatre Centre has many programs as well. There is an active library and an annual writer's festival. UT - Chattanooga with its 10,000 students also has many cultural programs. 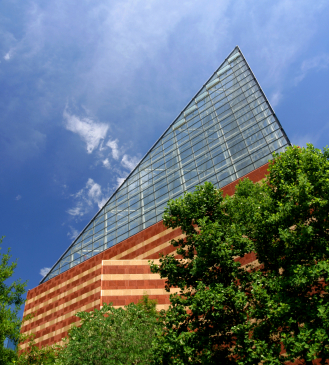 Chattanooga is home to several hospitals including Erlanger, ParkRidge, and Memorial. Chattanooga airport has several carriers with service to many other cities. Several interstates go through or near Chattanooga. There is a mass transit system (bus). Chattanooga is below average in walkability when compared to other communities.